Strings & Things Puppet Theatre presents their own visual twist on The Most Strange Wedding of Frog and the Mouse. 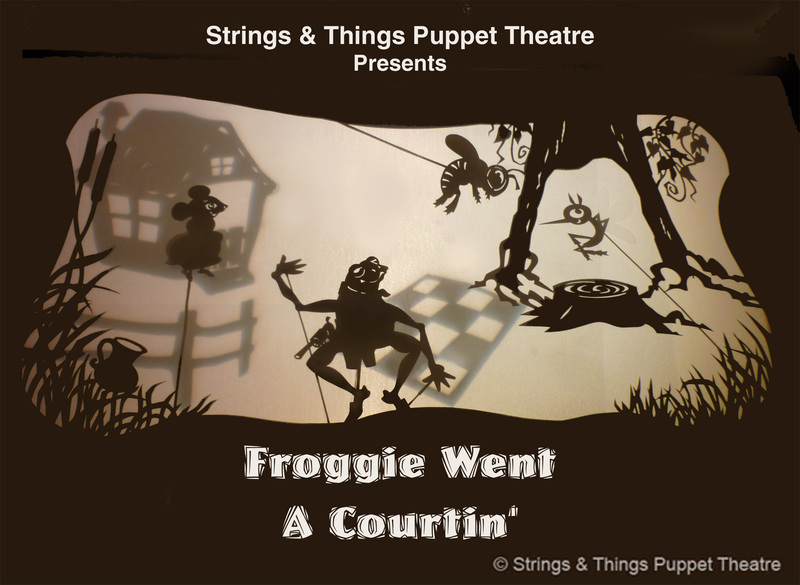 Froggie Went A Courtin’ – is a beloved nursey rhyme which seems to have originated in Scotland in the sixteenth century. There are countless variations of this old favorite – most known as Froggy Went A Courtin’ has been recorded by Elvis Presley and Bob Dylan, among many others.